The handicapped sign on state property in Tennessee could have a new look thanks to a bill in the state legislature. NASHVILLE, Tenn. — The handicapped sign on state property in Tennessee could have a new look thanks to a bill in the state legislature. 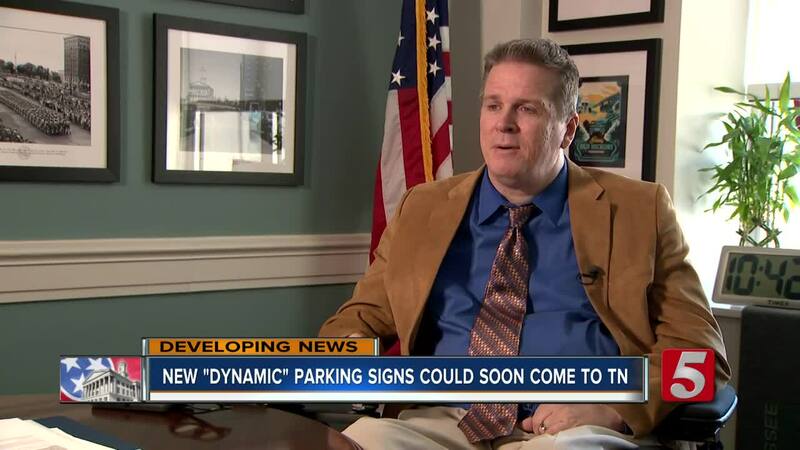 The "Dynamic Accessibility Act" changes the standard image for handicapped accessible parking spots and entrances to a more active symbol, showing a person in a wheelchair who seems to be moving forward. "It's just an upbeat image. And it's one of hope and moving forward and not a stylized stick man sitting straight up. It's just time to move on. I think this bill, this image does that," said the bill's sponsor, state representative Darren Jernigan. Jernigan promises the bill will not cost the state any more money. It wouldn't require any immediate change of state departments. Instead, in July, 2020, the state would stop manufacturing signs with the old image and start placing signs with the accessibility image at all new construction and renovations across the state. Also, the new symbol could be seen as early as January when the state would start putting it on license plates. Jernigan said Tennessee would join New York and Connecticut among the states that already have laws on the books. Also, several cities have adopted the symbol.